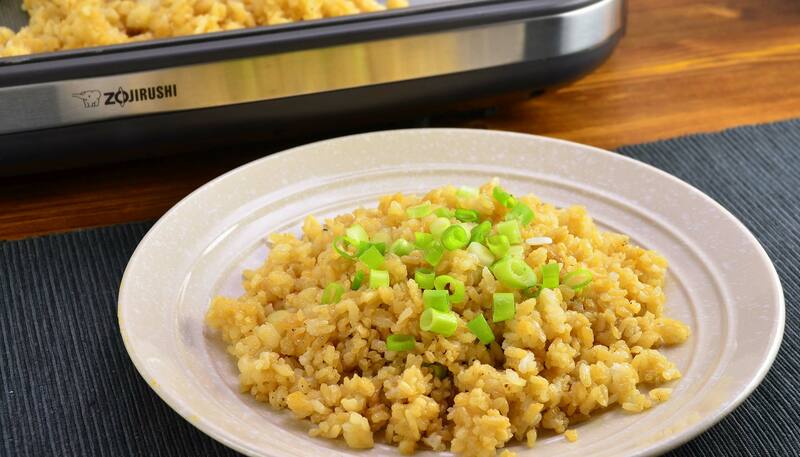 Garlic and caramelized soy sauce create a delicious and appetizing aroma while cooking. This is sure to be your favorite side dish for any grilling party. 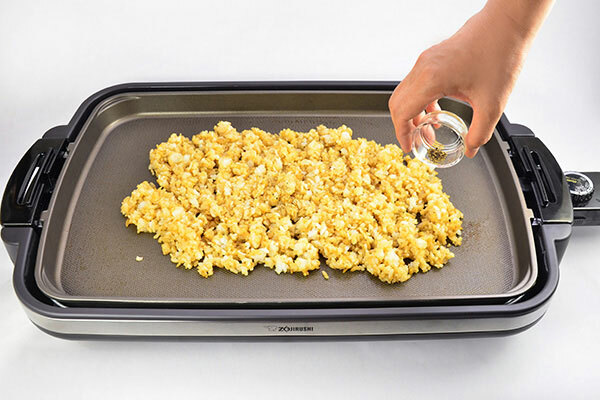 Add oil and turn the Gourmet d’ Expert® Electric Griddle (EA-DCC10) control knob to 350ºF. 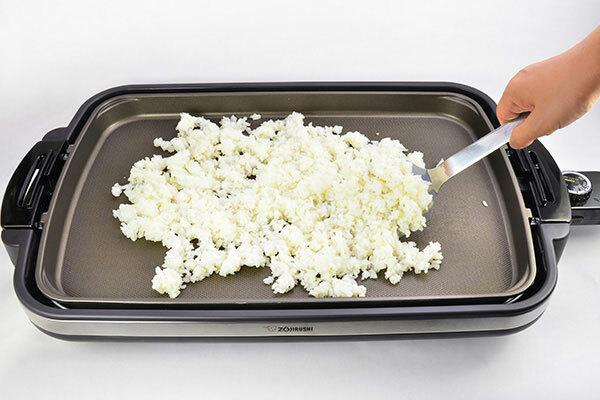 When the pilot lamp turns off, sauté garlic for 10 seconds then add rice. Continue to sauté for 3 minutes. 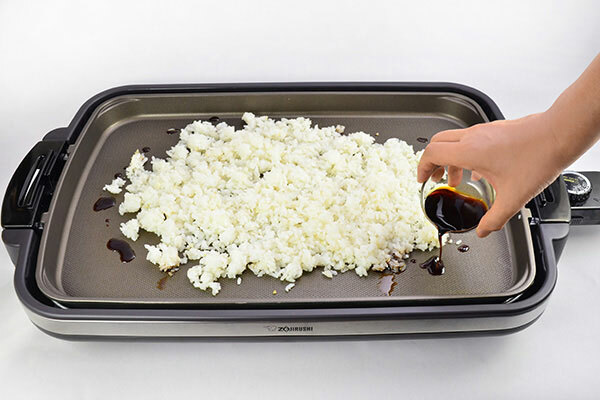 Drizzle soy sauce around the edge of the rice mixture and mix well. Add salt and pepper and turn heat off. 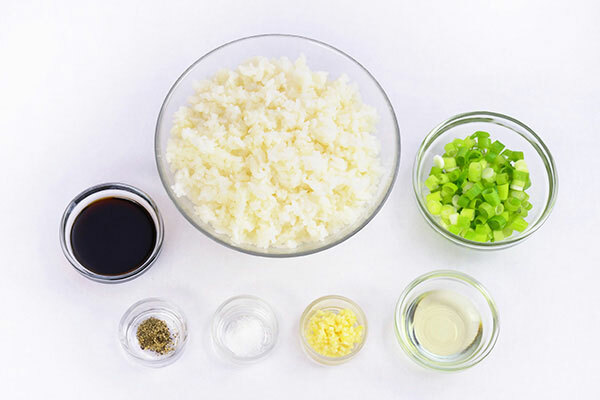 Sprinkle green onions over rice. Serve while hot.